August Mazda is excited to offer this stunning 2009 Mazda 6 GS! Presented in stunning Gold Flake Metallic over Beige premium cloth. Expertly detailed by our professional detail bay upon arrival, this stylish, sporty, and very well cared for Mazda 6 comes to us in impeccable condition! It was purchased in the locally and has no accidents which passes our stringent 120 point inspection making it August Certified. August Mazda is excited to offer this stunning 2007 Mazda3 GS! Presented in stunning Galaxy Gray Mica and Black seats with Black Gloss interior Accents. Expertly detailed by our professional detail bay upon arrival, this stylish, sporty, and very well cared for Mazda comes to us in impeccable condition! This vehicle passes our stringent 120 point inspection making it August Certified. August Mazda is excited to offer this stunning 2009 Mazda 6 GS! Presented in stunning Sangria Red over Black premium cloth. Expertly detailed by our professional detail bay upon arrival, this stylish, sporty, and very well cared for Mazda 6 comes to us in impeccable condition! It was purchased in the locally and has no accidents which passes our stringent 120 point inspection making it August Certified. August Mazda is excited to offer this amazing Mazda3, presented in rare Black Mica Metallic over black cloth seat trim and perfectly complimented by silver accents throughout. This sleek, stylish, sporty, and very well cared for Mazda3 is in impeccable condition and passes our stringent 120 point inspection making it August Certified. Priced to sell and ready to drive, stop by August Mazda’s Clubhouse for a closer look or call 1 (250) 762 2068. We offer great finance rates along with extended warranty options that can be tailored to your driving needs! August Mazda is excited to offer this amazing Mazda 3 GS,presented in the stunning Graphite Mica over Black Seat Trim and perfectly complimented by Interior dark accents. Expertly detailed by our professional detail bay upon arrival,this stylish,sporty,and very well cared for Mazda3 comes to us in impeccable condition with only 102,559! This 2 owner vehicle was brought into B.C. in 2011 and driven here in Kelowna since then. It passes our stringent 120 point inspection making it August Certified. Priced to sell and ready to drive,stop by August Mazda’s Clubhouse for a closer look or call 1 (250) 762 2068. We offer great finance rates along with extended warranty options that can be tailored to your driving needs! August Mazda is excited to offer this stunning 2008 Mazda B4000! Presented in stunning Mystic Black Metallic with a premium cloth and grey interior Accents. Expertly detailed by our professional detail bay upon arrival, this stylish, sporty, and very well cared for B4000 comes to us in impeccable condition! It was purchased locally and is a 1-Owner vehicle which passes our stringent 120 point inspection making it August Certified. August Mazda is excited to offer this stunning 2015 Mazda 3 GX! Presented in stunning Machine Grey Metallic with a premium Black cloth and Black Gloss interior Accents. Expertly detailed by our professional detail bay upon arrival, this stylish, sporty, and very well cared for Mazda3 comes to us in impeccable condition! It was purchased out of province and is a 1-Owner vehicle which passes our stringent 120 point inspection making it August Certified. August Mazda is excited to offer this stunning 2016 Mazda 3 GS! Presented in stunning Jet Black Metallic over Black Cloth and Black Gloss interior Accents. Expertly detailed by our professional detail bay upon arrival,this stylish,sporty,and very well cared for Mazda comes to us in impeccable condition! It was purchased in the locally and passes our stringent 120 point inspection making it August Certified. 1-Owner,B.C vehicle. Heated Seats,Cruise control,Hatchback,Back up camera. Non smoker,local trade in. This vehicle was purchased new from our dealership. The previous owner a local business man,decided it was time to trade the vehicle in and purchase a new Mazda3! This vehicle was treated very well over its life time and was maintained to the highest of standards! The interior and exterior looks great and well taken care of! Since bringing this vehicle in we have completed a full circle inspection along with a premium oil change to ensure you the new owner has a near new vehicle! We offer great financing rates along with extended warranty options that can be tailored to your driving needs! Contact one of our clubhouse advisers today to learn more about this vehicle! August Mazda is excited to offer this amazing Mazda 3 GS,presented in the stunning Deep Crystal Blue Mica over Black premium cloth Seat Trim and perfectly complimented by Interior black accents. Expertly detailed by our professional detail bay upon arrival,this stylish,sporty,and very well cared for Honda HR-V comes to us in impeccable condition with only 29,643! It was purchased from August Mazda,and passes our stringent 120 point inspection making it August Certified. August Mazda is excited to offer this stunning 2017 Mazda 3 Sport,presented in the stunning Machine Grey Metallic over Black Leather Seat Trim and perfectly complimented by Piano Black gloss trim. Expertly detailed by our professional detail bay upon arrival,this stylish,sporty,and very well cared for Mazda 3 GS comes to us in impeccable condition and shows very well in the Okanagan sun! 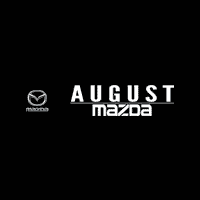 Traded in on a larger vehicle,it was originally purchased at August Mazda and serviced here,it passes our stringent 120 point inspection making it August Certified. Priced to sell and ready to drive,stop by August Mazdas Clubhouse for a closer look or call 1 (250) 762 2068. We offer great finance rates along with extended warranty options that can be tailored to your driving needs! August Mazda is excited to offer this stunning 2016 Mazda 3 GS! Presented in stunning Jet Black Mica Paint with a premium Black Cloth and Black Gloss interior Accents. Expertly detailed by our professional detail bay upon arrival,this stylish,sporty,and very well cared for Mazda comes to us in impeccable condition! It was purchased in the lower mainland and is a 1-Owner vehicle which passes our stringent 120 point inspection making it August Certified. August Mazda is excited to offer this stunning 2016 Mazda 3 GT Luxury Package! Presented in stunning Snow flake White Paint with a premium Black leather and Black Gloss interior Accents. Expertly detailed by our professional detail bay upon arrival, this stylish, sporty, and very well cared for Mazda comes to us in impeccable condition! It was purchased in the locally and is a 1-Owner vehicle which passes our stringent 120 point inspection making it August Certified. August Mazda is excited to offer this stunning Mazda 3 GT,presented in the stunning Sonic Silver Mica over Black Leather Seat Trim and perfectly complimented by Interior dark auburn interior accents. Expertly detailed by our professional detail bay upon arrival,this stylish,sporty,and very well cared for Mazda 3 comes to us in impeccable condition with only 9,830 kms! It was purchased from August Mazda,with no accidents,and passes our stringent 120 point inspection making it August Certified. August Mazda is excited to offer this stunning 2016 Mazda CX-5 GS! Presented in stunning Titanium Flash with premium leather and interior Accents. Expertly detailed by our professional detail bay upon arrival, this stylish, sporty, and very well cared for CX-5 comes to us in impeccable condition! It was purchased locally and is a 1-Owner vehicle which passes our stringent 120 point inspection making it August Certified. August Mazda is excited to offer this stunning 2016 Mazda CX-5 Gt! Presented in stunning Snowflake White Metallic with premium leather and interior Accents. Expertly detailed by our professional detail bay upon arrival, this stylish, sporty, and very well cared for CX-5 comes to us in impeccable condition! It was purchased locally and is a 1-Owner vehicle which passes our stringent 120 point inspection making it August Certified. August Mazda is excited to offer this exceptional 2017 Mazda6 GT! Presented in the phenomenal Machine Grey Metallic with Black Leather and is complimented by Black Auburn interior accents. Expertly detailed by our professional detail bay upon arrival,this stylish,sporty,and very well cared for Mazda 6 comes to us in impeccable condition! It was purchased at August Mazda which is located in beautiful British Columbia,with no accidents,and passes our stringent 120 point inspection making it August Certified. August Mazda is excited to offer this stunning 2015 Mazda Miata 25th Anniversary Edition! Presented in stunning True Red and Beige Leather with Black Gloss interior Accents. Expertly detailed by our professional detail bay upon arrival, this stylish, sporty, and very well cared for Mazda comes to us in impeccable condition with only 36,393 Km’s! This vehicle passes our stringent 120 point inspection making it August Certified. August Mazda is excited to offer this amazing Mazda MX-5, presented in rare Machine Grey Metallic over black cloth seat trim and perfectly complimented by black piano trim accents throughout. This sleek, stylish, sporty, and very well cared for MX-5 is in impeccable condition and passes our stringent 120 point inspection making it August Certified.